Last Friday I packed up my wrestling boots in search of Catch Wrestling. From my brief experience at the Snake Pit in Wigan I met a very experienced and respected instructor by the name of Ian Bromley, one of only a few in the UK who can teach Catch as Catch Can. I contacted Ian before attempting my trip from Stafford to Stockport to visit his gym, and he was more than welcoming. So I jumped on the Crosscountry train and headed to Stockport. The gym is roughly 1 mile away from the train station, so perfect walking distance. Once I had found the industrial site, it did take me just shy of an hour to actually find the gym itself, but once inside, wow, the level of the guys there was incredible. Unfortunately, Ian was unable to make it to class that evening so I was left with the very effective Kev Morrissey and his group of wrestlers. The session itself featured no drilling, only sparring. Lots of sparring. So….much….sparring. Not that I’m complaining, but wow I was sore for the rest of the weekend. Would I go back? In a heart beat. The level of the people training there is exceptionally high, and I can only put that down to the guys in charge. 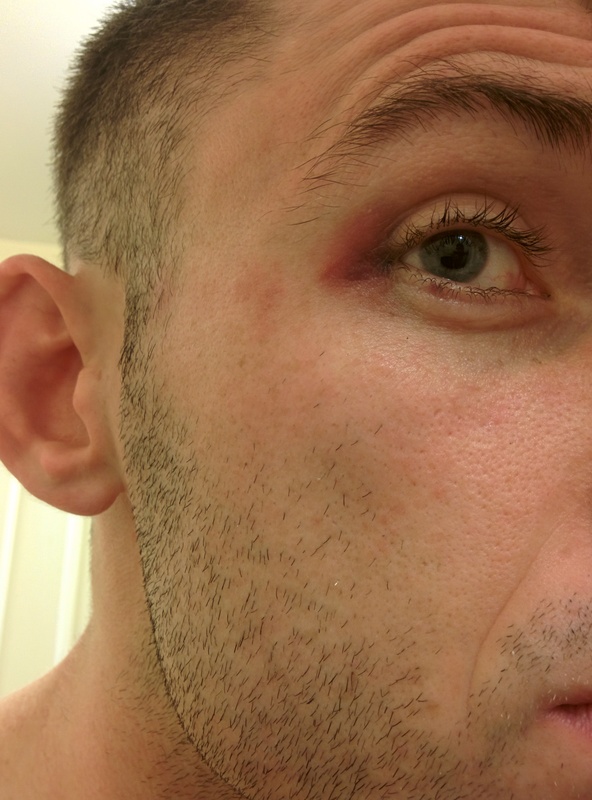 Till then, I’ll go nurse this black eye a bit more.